Janhvi Kapoor, who may be a fashionista, but has no qualms in repeating her clothes. Speaking on Anaita Shroff Adajania’s chat show, Janhvi was her candid best when asked about being targetted by trolls for repeating her clothes. Janhvi said that she haven’t earned so much money that she can afford a new dress everyday. 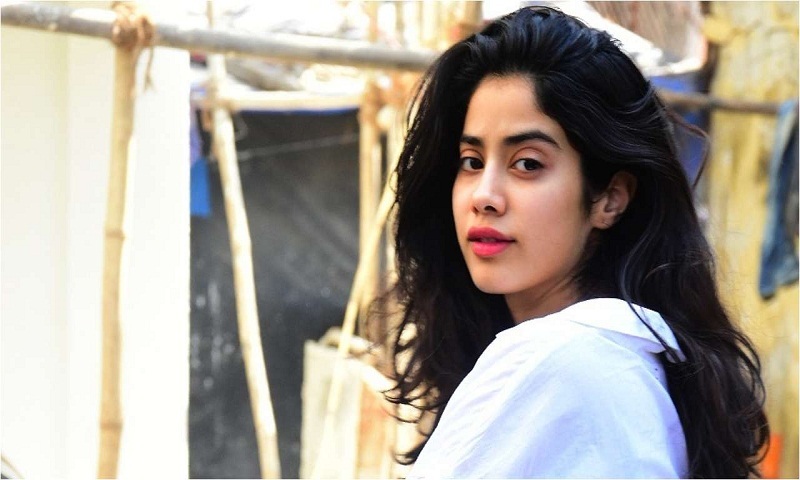 Janhvi, who made her film debut with Dhadak, is now busy shooting for her next film, called Kargil Girl, a biopic of IAF pilot Gunjan Saxena, who is credited to have ferried wounded soldiers to safety during the Kargil War in 1999. The actor was in Lucknow in March for the shoot of the film. Later in the year, she will begin shooting for Karan Johar’s directorial Takht where she will be part of ensemble cast including Ranveer Singh, Vicky Kaushal, Kareena Kapoor Khan, Alia Bhatt, Bhumi Pednekar and Anil Kapoor. Her first film, Dhadak was a remake of hit Marathi film, Sairat. Her co-star in the film was Ishaan Khatter. Speculation is that the two are dating each other, a rumour that both vehemently deny.